Dharamsala is beautiful and peaceful place in the the Kangra District of Himachal Pradesh. Dharamsala is lies between 32.218°N and 76.320°E. Dharamshala is 18 kilometres from Kangra. Dharamsala is surrounded by dense Deodar and cedar forests. Dharamsala is the district headquaters of the Kangra district. McleodGanj is the home of the Dalai Lama. Dharamsala is Hindi word that is combination of dharma and shala. A translation into English would be Spiritual Dwelling. In Hindi the word Dharamsala means rest house for spiritual pilgrims. Dharamsala is divided into two parts Lower Dharamshala and Upper Dharamshala. Lower Dharamshala has offices,courts. Upper Dharamshala is also called Kotwali bazar. A steep, narrow road connects McLeodGanj from Dharamshala. McLeodGanj is accessible by taxis and small cars. Numerous ancient temples like Jwalamukhi, Brijeshwari and Chamunda lie on the plains below Dharamsala. Several thousand Tibetan exiles lives in Dharamsala and the mostly lived in the McLeodGanj. The Tibetan exiles built temples,schools and monasteries in Upper Dharamsala. McLeodGanj is also called Little Lhasa. Dharamsala name is in the list of Smart City. Dharamshala is an ideal destination for rock climbing enthusiasts. Dharamsala is also popular for multicultural community. McLeod Ganj is a suburb of Dharamsala. 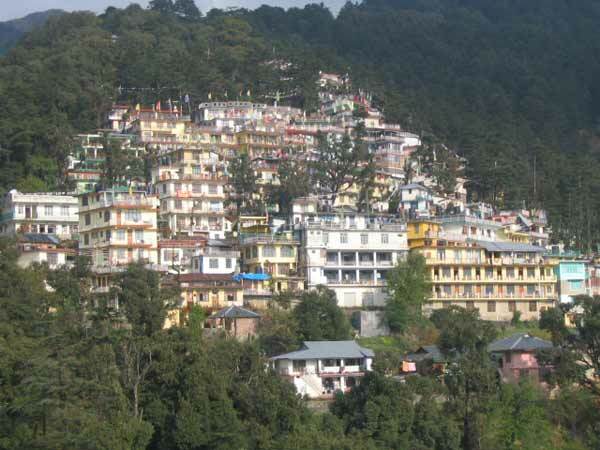 The altiude of McLeod Ganj is 2,082 metres from sea level. McLeod Ganj is also known as Little Lhasa of India. McLeod Ganj is home of Tibetan Guru Dalai Lama. McLeod Ganj is named after after Sir Donald Friell McLeod. Who was the Lieutenant-Governor of Punjab. McLeod Ganj is famous for Tibetan culture,temples and handicrafts. 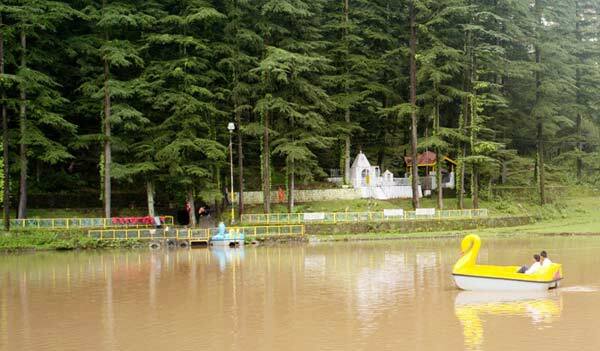 Dal Lake is situated in Tota Rani village 11 km from Dharamshala. The altitude of Dal Lake is 1775 m from sea level. Its name is taken from Kashmir Dal Lake. Dal Lake is surrounded by beautiful deodar trees. On the bank of Dal Lake famous Lord Shiva temple is located which is considered to be very blest. In the water of Dal Lake there are different kinds of fish. The water of lake is green. The War Memorial is situated entrance of Dharamsala. The War Memorial was built to honour of those brave soldiers who sacrificed their life for the country in post independence war. 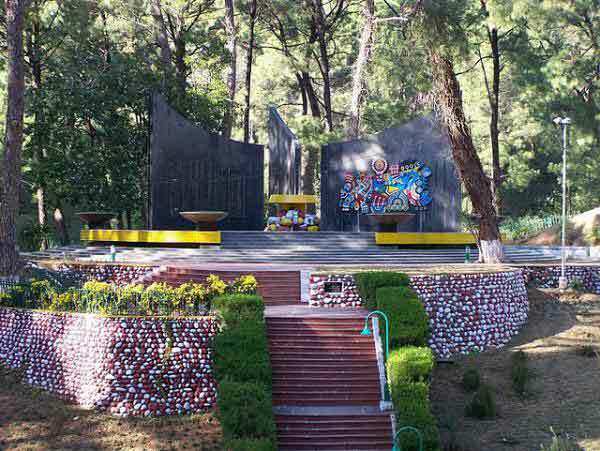 The War Memorial is surrounded by pine forest. 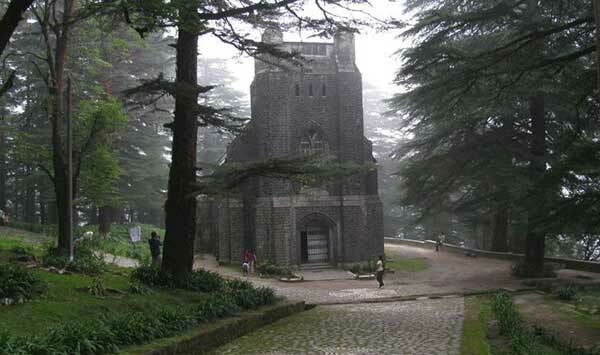 St. John in the Wilderness is situated in the Dharamshala. St. John in the Wilderness church is built in 1852. St. John in the Wilderness church is dedicated to John the Baptist. Lord Elgin was so attached with the Deodar. The Lord Elgin wish is that he was buried in the outskirts of church. David Mcleod is also buried in the church outskirts. After the death of David Mcleod the place is named as Mcleod Ganj. By Air: The nearest airport is at Gaggal which is 13 km away from Dharamsala. In winter the temperature can reach freezing point when heavy woolens are required. In summer the climate is mild and light cottons are recommended.